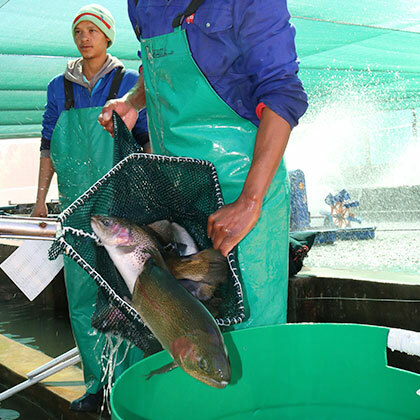 Molapong Aquaculture produces rainbow trout on six farms spread across the winelands region of South Africa. 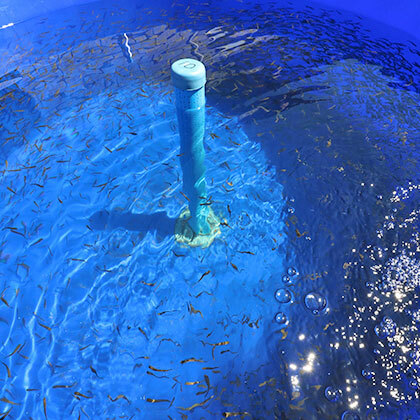 The company utilises a variety of culture techniques – from raceways to Danish ponds and cages – to produce fresh and frozen rainbow trout products for the South African market. 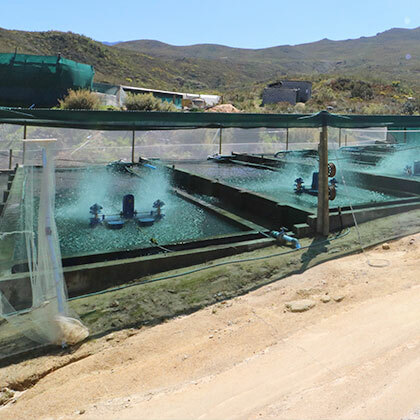 Molapong Aquaculture also supplies specialised, disease-free trout ova for export. Molapong is growing rapidly in response to strong demand for its products from all over South Africa. Although the company presently produces fresh whole trout, or trout fillets, there are plans to expand its product offering. Molopong is experimenting with sea-grown trout in Saldanha Bay and, if the results are favourable, it will begin supplying sea-grown trout to the market by the end of 2018.